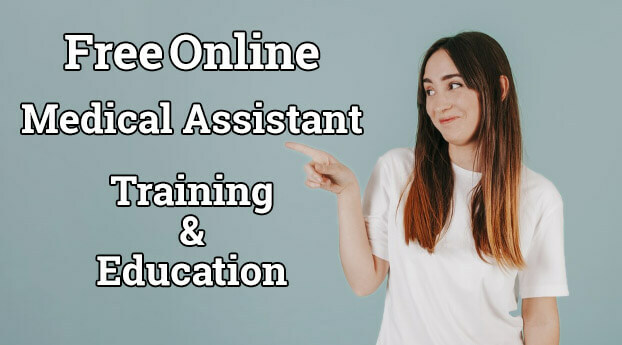 Prospective medical assistants can be able to take free online courses that are related to their career and among them are introductory courses. All the courses below are educational only and will not give you credit for your studies, they will however, help you later on with the knowledge you gained from them. Please note that to become a medical assistant you need to go through training and be licensed. How to Use a Microscope – Covers parts and functions of a microscope. On the site you can learn how to examine a specimen under it and one will need a computer installed with Adobe Flash. There is a log in icon however the user is prohibited from logging in to view videos. Measuring Volume Using a Graduated Cylinder – Shows you right way to read the calibrated liquid amount in the graduated cylinder. First, there is a discussion on the graduations on the cylinder and later asks the user to read the amount that is in the cylinder. Medical Assistant Learning Objects – Is a learning session involving interactions as a way of learning. The topics in this course are business correspondence, skeletons, muscles, the lymphatic system, message taking, scheduling, professionalism, medical examination positions, open wounds, medical asepsis, muscles, the endocrine system, commonly misspelled words, blood collection tubes, and apical pulse. As a user, you will need a computer installed with Adobe Flash for viewing learning objects. A logging in option exists but you can view the learning objects without you logging in. on the left hand-side, click on ”Health” then ”Medical Assistant” to proceed with viewing. Medical Terminology Pronunciation Jukebox – Gets all the medical words and pronunciation right. A user will click on an album like body structure, blood, digestive system or cardiovascular system. The page brings a list of words and you can click on each to hear the right pronunciation. Root Words for the Medical Transcriptionist – Is a question course that has 74 terms. Users click on any medical term root word then drag it to the right definition. There is a time limit which is 15 seconds dedicated to every part of the quiz. If a user misses to finish matching the pairs, the quiz proceeds. Learn CPR has a category with videos and illustrated guides that impart cardiopulmonary resuscitation which is CPR and treating victims of chocking. There are CPR guides for dogs, cats, infants, children and adults. Videos demonstrate how to offer first aid and CPR to victims of chocking. Online Medical Terminology Course gives medical students an opportunity to learn 300 medical words and what they mean. The course goes further to teach fundamental makeup of the medical terms and the user can go ahead and begin learning new words. The mode of learning in this course is by quizzes and text lessons. Phlebotomy is a course that shows the venipuncture process in depth. It entails patient identification, multiple tube phlebotomy, equipment, labeling, patient care, access sites, and infection control and quality assurance. The mode of learning in this tutorial is slides and illustrated texts. Understanding Medical Words: A Tutorial from the National Library of Medicine enables medical assistant students in learning the various parts of the medical words and how to bring them together. To view the quiz tutorial, you need a computer with Flash player installed. Web Anatomy takes into consideration self-tests on topics like histology, the digestive system and bones. There are timed tests on topics like full skeleton, skin and the body muscles. The site has multi-player games on topics like the respiratory, digestive system and the heart. The quiz bowl puts the user to test their knowledge on body systems, body regions and blood cells. 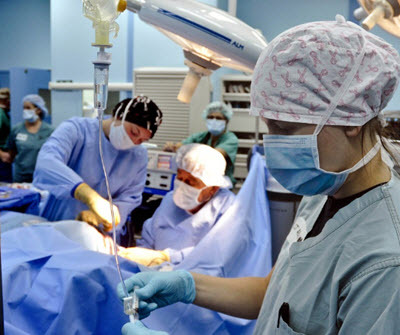 Medical assistants are not only confined to working in facilities with large driven systems. They can work in private doctor’s offices, health practitioner’s offices, and the outpatient care centers. It is absurd that most medical assisting students have a mentality that upon successfully completing the required tests, they will be working in big hospitals only. This is certainly not it. Health care has moved a step further into using technology more and many facilities are moving to working both during the day and night all year round. Hospitals and emergency clinics are taking this path. This will make medical assistants’ services needed in such facilities. More health services will be required because the baby bloomer population is quickly aging. Medical assistants are licensed professionals in any field of work they choose. The trade is licensed because medical assistants need to take their required courses pay for the Certified Medical Assistant exam (CMA) that is issued to the successful students by the American Association of Medical Assistants (AAMA) that will certify that you are licensed. If you’re interested in being a medical assistant, than what are you waiting for? Click here to see our full guide to becoming a medical assistant.